Déjà Vu might be the preferred choice of critics, no doubt due to the presence of Neil Young, but CSN, the trio’s glorious debut is arguably a much superior representation of their sound, and certainly a much purer one. And while some have described CSN as the ‘60s first true ‘supergroup,’ the same title could also be applied to Cream, who’d already formed and broken up long before Crosby, Stills and Nash had even made their first recording. David Crosby, having been kicked out of The Byrds during recording sessions for 1968’s The Notorious Byrd Brothers, loitered around Laurel Canyon, pondering over his next move. It wasn’t until he hooked up with GrahamNash (ex-Hollies) and Stephen Stills that the idea of forming a new band became a real possibility. In England they approached Apple, the independent label founded by The Beatles, but were rejected after hearing what they were given. CSN returned to America where, thanks to the enthusiasm of David Geffen and AhmetErtegun, CSN were subsequently offered a contract with Atlantic Records, the same label that would soon sign Led Zeppelin. Stills dominated the recording of the album. Apart from drums, handled by Dallas Taylor, he played nearly all of the instruments on the album. Nash played acoustic guitar on two tracks and Crosby rhythm guitar on a few. Stills played all the bass, organ, and lead guitar parts, as well as acoustic guitar on his own songs. Recorded at Wally Heider’s Studio III in Los Angeles in early 1969, and released in May that same year, Crosby, Stills & Nash would go on to eclipse anything by The Byrds, The Hollies, or even BuffaloSpringfield. Also, by employing their surnames in the band’s title, instead of adopting an actual name, such as The Zombies, Jefferson Airplane etc, meant that CSN were already destined to stand out. Right from opening Acoustic Guitars of “Suite: Judy Blue Eyes” (written about Judy Collins) and when those magical three voices blend – you realise you’re in the presence of something very special. Although the song is 7:24 minutes long , Its a marathon-like ode to his failed relationship with singer Judy Collins. Progressive-folk, raga, country-blues, even Spanish lyrics, “Suite” is an opus that takes the listener on a personal and deeply moving journey, and remains the one song that CSN should be best remembered for. Nash’s catchy “Marrakesh Express” might seem a bit twee now, at least to modern ears, yet back in the day, even a title such as that meant it was fully loaded with all manner of connotations. It’s followed by the stunning ethereal beauty of “Guinnevere” sashaying into your living room with a softly plucked Acoustics. Then you get hit with the full harmonious power and beauty of those three voices as a wall of one. When the trio first got together in Joni Mitchell’s house – they noticed the ‘timber’ of the combo. 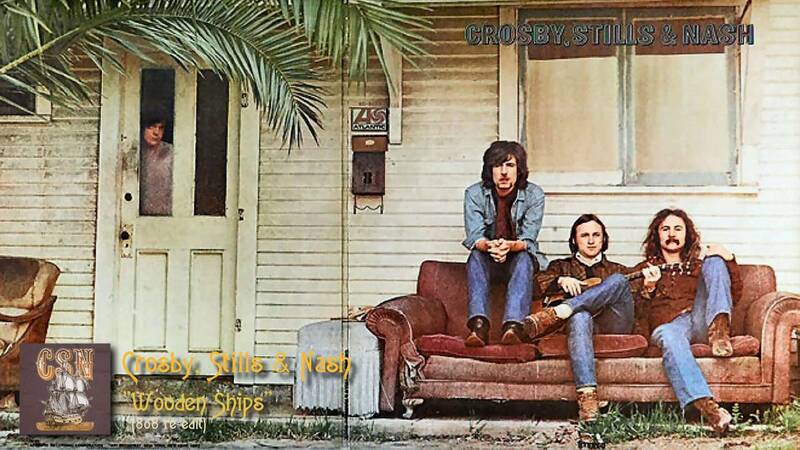 Stills’ “You Don’t Have To Cry” is the song which started it all, and is a delightful country-blues number complemented by some exquisite three-part harmonies, followed by the trippy “Pre-Road Downs,” written by Nash, and which closed side one of the original record. Flip the disc, and we begin with the iconic “Wooden Ships,” which would turn up on the Jefferson Airplane album “Volunteers” in November of 1969 (it was a co-write with Paul Kantner) and I’ve always loved both versions – a strange hybrid of Soulful Rock that seemed to belong to California in 1969. CSN’s original take is shorter and amps up the Guitar and Organ . The bass and rhythm section is so warm and sweet but it’s the Stills vocal followed by Crosby and back again that impresses . The lyrics describe a handful of survivors living in a post-apocalyptic world. The song was included in the Woodstock movie, thus helping to propel the group’s popularity ever further. The gentle “Lady Of The Island,” written by Nash, is a delicate love-song devoted to JoniMitchell, while “Helplessly Hoping” picks up where “You Don’t Have To Cry” left off, full of delicious harmonies and subtle acoustic guitar. Clearly, Stills’ experience working in various studios over the years, meant that he knew exactly what to do when it came to overdubbing his instruments, as evidenced on “49 Bye-Byes,” a tune practically built from the ground up thanks to Stills’ knowledge of recording technology. The truly dedicated listener will likely want the 2006 HDCD expanded edition, which includes early takes of “TeachYour Children,” “Song With No Words,” “Do For The Others,” a tender folk ballad by Stills, and a cover of Fred Neil’s “Everybody’s Talkin’.” the group continued recording that year and the HDCD disc has four bonus tracks come from those sessions. “Do For The Others” would eventually show on “Stephen Stills” – his debut solo album from late 1970. The second it opens – you can hear why its been included on this Expanded CD Edition – not only is this song gorgeous to listen too – it’s beautifully recorded – essentially a Demo with Stills on Lead Guitar while the other two harmonise. It’s a genuine wow. Second up is another harmony winner in “Song With No Words” where they “dah dah” the melody that would eventually appear on David Crosby’s magnificent “If I Could Only Remember My Name” debut solo album in 1971. Truly beautiful is the only way to describe the Trio doing Fred Neil’s classic “Everybody’s Talkin'” made famous by Nilsson’s cover as used in the movie “Midnight Cowboy”. 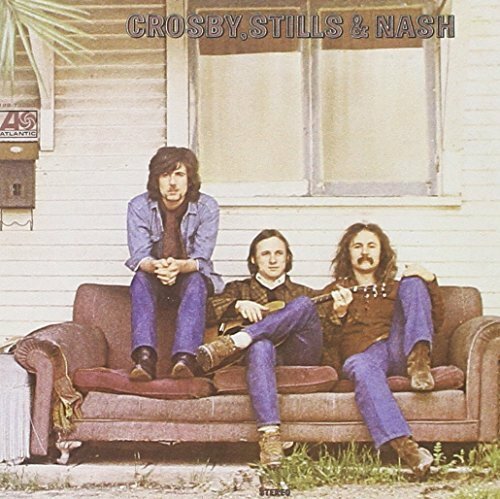 Crosby describes it in the liner notes as “Stills at his best…” There’s a demo of the “DéjàVu” classic “Teach Your Children” which is nice but nothing as good as the magical trio that preceded it. Fans will know that there are five other ‘outtakes’ from the period on the “Carry On” 4CD Box Set (1991) – one day we might get a Deluxe Edition 2CD set covering the event in its entirety. 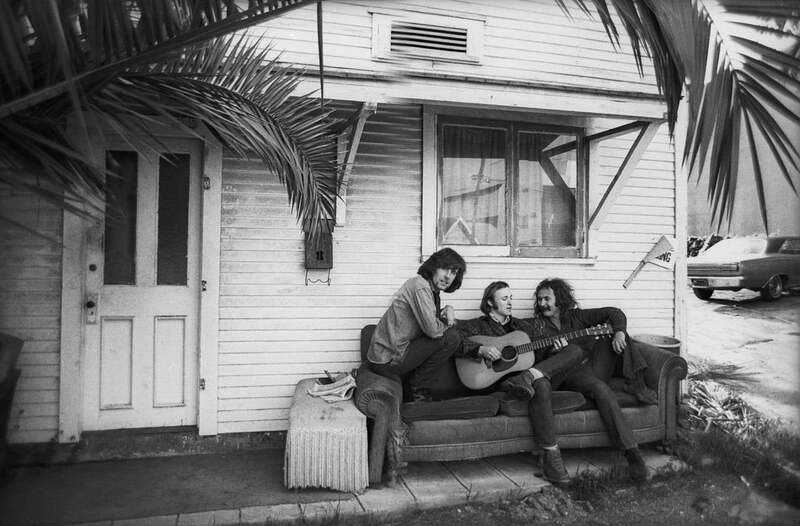 While Crosby, Stills & Nash can never betray its hippie, idealistic origins, the record itself provides a timeless window into the lives of three young men whose unique, creative chemistry would inadvertently give rise to a whole new musical genre, one that included Poco, America, and most famously, The Eagles.